Truly flexible electronics from processor, memory, interface, and battery components are here, thanks to Intel, IBM, STMicro, Leti, Imec, Kaist, Kovio, and others. As leading-edge semiconductor companies race toward ever-smaller, atom-sized chips, it’s easy to overlook the amazing advances made in higher nodes – especially in plastic and organic electronics. This is good news for the chip design community, as the implementations of flexible and organic electronics will renew interest in existing semiconductor intellectual-property (IP) designs. Earlier this year, Intel Labs, Plastic Logic and Queen’s University announced joint work to create a “paper” tablet computer. 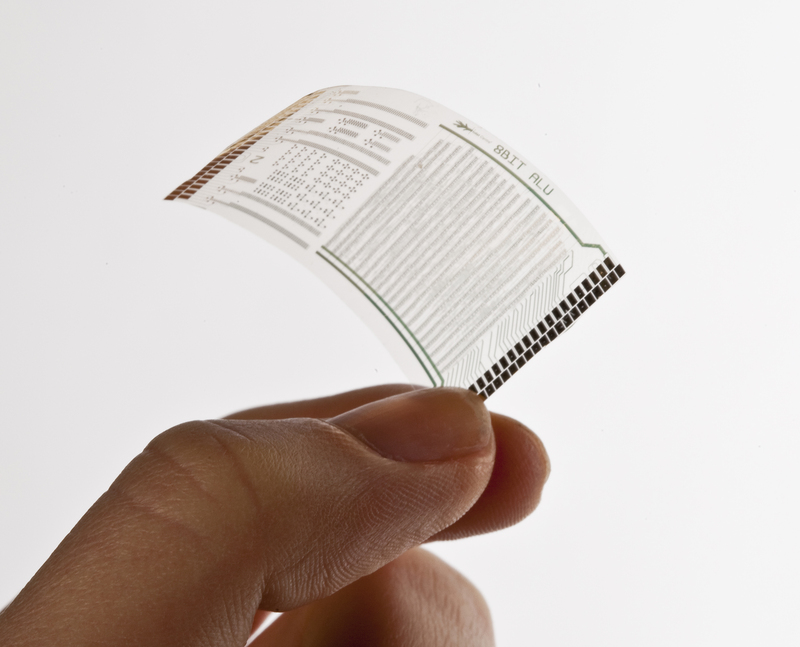 Developed at Queen’s University, the flexible tablet called “PaperTab” looks and feels like a sheet of paper. It is powered by a second generation Intel Core i5 processor. Unlike today’s tablets where several apps or windows can appear on the single display, the PaperTab would have one paper per applicatio but users could have several displays – like pages in a book. IBM’s flexible electronics and related semiconductor advances were part of my brief conversation with Sean O’Kane from Chipestimate.TV: Common Platform 2013 – Walk and Talk – Sean O’Kane and John Blyler (Part 1). Printing low-power, low-performance microprocessors onto organic materials will open a wide range of cost-effective alternatives to traditional silicon wafers. Another example of an extremely low-power, low-performance memory application is in the emerging market of flexible, plastic electronics. 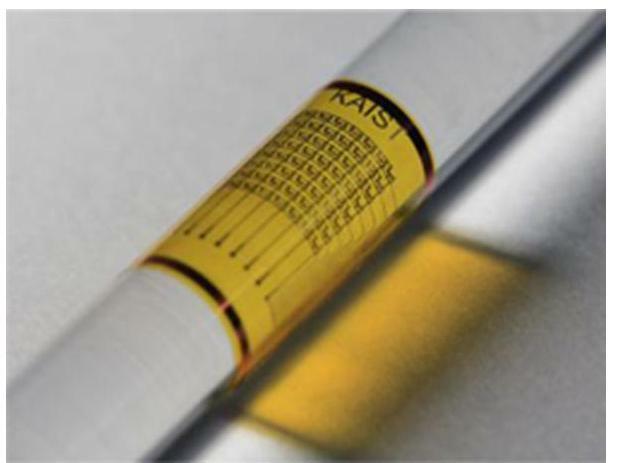 A team from the Korea Advanced Institute of Science and Technology (KAIST) recently reported such a device [i.e., a fully functional, flexible, nonvolatile, resistive random-access memory (RRAM)]. 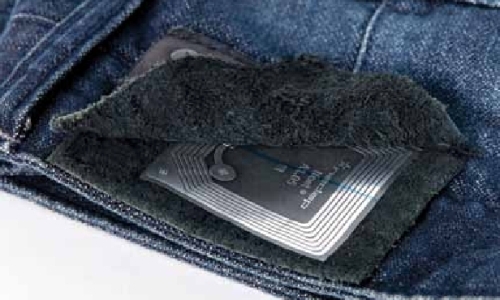 > Kovio’s near-field communications (NFC) wireless tag is created using electronic inks and industrial graphics printing tools instead of more expensive ICs on silicon wafers. Researchers have demonstrated a flat, “stretchy” battery that can be pulled to three times its size without a loss in performance. 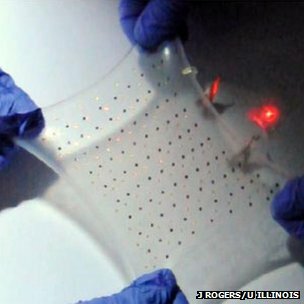 As consumers, the age of flexible, “yogurt-lid” electronics may finally be here. With these advances, everything from our clothes to cereal boxes may serve as personal computers and communication systems.